Gorgeous cashmere wool is produced from the finest hair of certain breeds of goat. Cashmere has never been in such high demand as the global population has grown. The economies of many Asian countries have strengthened and high street retailers in the west have started to feature affordable cashmere in their ranges. This should be good news for the traditional goat farmers of Ladakh in India but things haven't quite worked out that way. Pashmina goats are reared in the harsh terrain of the Indian Himalayas where the cold temperatures promote the growth of the treasured undercoats of the goats. But in recent years heavy snow fall has led to many of the animals dying of starvation unable to access the fodder they need. In 2013 as many as 25,000 goats perished with a further 175,000 under serious threat and there were inadequate measures to transport vital food into the remote areas where it was so desperately needed. The region historically experiences low precipitation but there have been two heavy snowfalls in five years decimating the herds. It is not known whether the snowfalls were random events or the result of climate change. The pashmina scarves and shawls woven from the wool in neighbouring Kashmir are in huge demand and are vital to the economy of the region. The luxury accessories fetch high prices but a diminished supply of cashmere wool from Ladakh has forced the weavers to turn to China and Mongolia for their wool. The goats are reared in the Gobi desert where the harsh conditions are similar to those in the Himalayas and are perfect for promoting the growth of the goat's inner coat. Unfortunately whilst the Mongolian goats are a valuable source of wool for the Kashmiri weavers they are also a major economic threat. Increased mechanisation in China has meant that higher grade cashmere can be produced and produced at lower cost. The enormous goat herds are also causing severe damage to the environment. Goats feed on grass but also eat the roots making the region ever more barren. The reduction in vegetation is causing sandstorms in the Chinese capital Beijing. The pashmina industry in India is also being threatened by the mass production of fake products which are flooding the market. Efforts are being made to raise awareness of the problem but with the price of the genuine article being so high many people are tempted to buy a cheaper alternative. At the end of the day there are only so many places that are suitable habitats for rearing the goats and promoting the growth of their undercoats. These regions are remote, harsh environments where there is a fine line between life and death, successful farming and disaster. When the snow falls the areas can be cut off making the transport of fodder next to impossible. 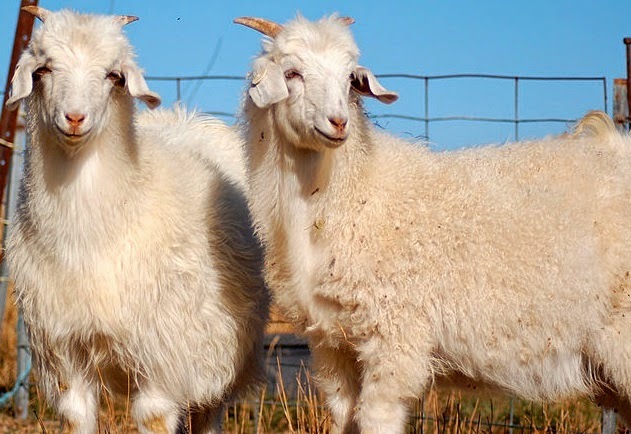 The increasing demand for cashmere requires the rearing of more goats which are now impacting the environment of the regions where they are farmed. Cashmere produces gorgeous, soft, insulating clothing and accessories which are highly treasured but there could come a time when these products become even more rare and expensive if the solutions to the farming issues cannot be found. About the author: Sally Stacey is a keen writer and independent retailer in the fashion industry.